About five years ago, we needed a new diesel to replace an old Volvo MD in our Cheoy Lee. 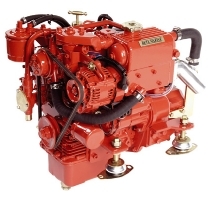 After searching the various manufacturers, it became clear to us that the Beta Marine diesel based on the proven Kubota engine was by far the best choice. We ordered one, installed it and sea-trialed it. The experience was outstanding. We liked the engine and the company so much, we became a dealer. We are located in the Pacific Northwest, and serve customers throughout the US and Canada. We offer our customers an extensive line of reliable, easy to maintain, and cost effective diesel engines and generators. We have many years of sailing and boating experience, and use Beta Marine engines in our own boats. We keep a stock of parts to serve our local customers. All orders are shipped to you factory direct, so you are assured of getting a brand new engine with the latest equipment, configured to meet your exact requirements. 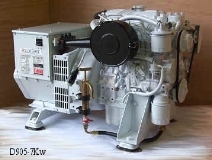 We only sell Beta Marine diesel products, and we know our product line well. Using this knowledge, we endeavor to deliver the highest levels of customer service - working to understand your application and providing a solution that best fits your needs. Our customers are all over the world. If you need help with installation, we have installation partners we can recommend in Seattle, Anacortes, Port Townsend, Kingston, Polsbo, Bellingham, Tacoma, Bremerton, Gig Harbor, WA, Oregon, Alaska.